I just checked out the 31 Day Fat Loss Cure product (at 31DayFatLossCure.com) and wanted to do an honest review for it. I know, like with most products, there are a bunch of reviews of the product on the internet that are basically gibberish and try to sell you the product. I want to give people my honest thoughts of the product (from someone who actually purchased it). Update: February 1st, 2012. 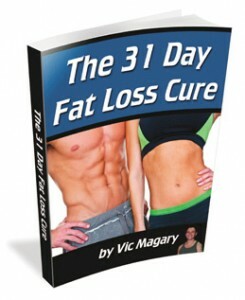 There is now a physical product for the 31 day fat loss cure, and an online version. My review is based around the online version of the product, but they are the same product, so this review is still relavent. The difference is that with the physical product you will actually have the workout and nutrition info in a book that you take with you the gym, kitchen, etc. Ok so I’m going to start off with a review of the actual 31 Day Fat Loss Cure program. It is broken down into a few different categories, which is great. There is a beginner and advanced workout for those who don’t have access to a gym and there is a beginner and advanced workout program for those who are working out at a gym with access to equipment. If you don’t know if you qualify for the beginner or advanced 31 Day Fat Loss Cure no need to worry – Vic Magary has outlined who each workout program is geared towards to make your decision easier. It is important to realize that this 31 Day Fat Loss Cure program is strictly for losing body fat. If you are a male looking to gain strength and size neither of these programs would be good for you. For those looking to burn fat – you will lose weight on this program. Examples of bodyweight exercises for those not having access to a gym = push ups, lunge jumps, squat variations, burpees, etc. Examples of exercises in the gym workouts = deadlifts, burpees, squats, front squat, push press, etc. Again the workouts are very active. 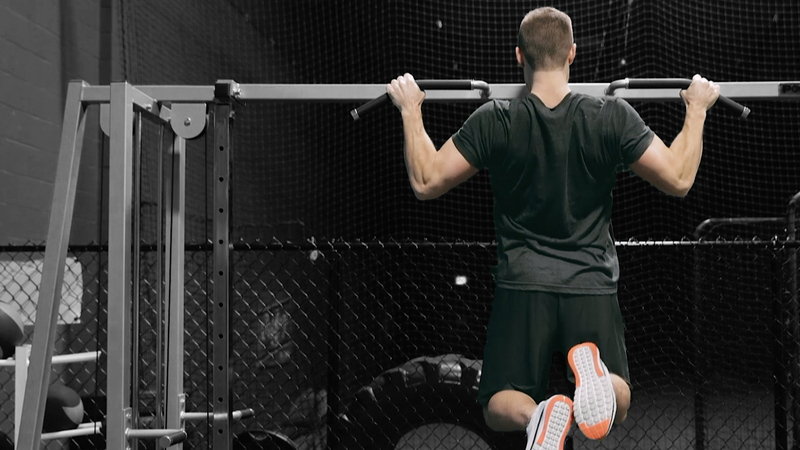 You will finish your workouts quick, but they will be intense. You may feel crappy after your first couple workouts, but battle through it because the 31 Day Fat Loss Cure will make you lose weight. Now as a bonus in the PDF file you receive with the 31 Day Fat Loss Cure workouts you also receive other great stuff. Inspirational and motivational stories, FAQs answered, an action plan, what foods to eat with example meals, what foods to stay away from, etc. Great information packed file from the 31 Day Fat Loss Cure team that will further help people with their belly fat loss. Now for bonus #1 which is an audio interview with two people who have gone through the 31 Day Fat Loss Cure program themselves – it was pretty interesting, but nothing special – worth a listen. For my review I will give it an “OKAY”. Review of 31 Day Fat Loss Cure Bonus #2 (Live Workouts) – very motivational videos that actually show you the type of work you need to put in to get the amazing results that should follow. These get a “GREAT” for my review. Bonus 3 is a great audio interview with a women named Isabel who sells a very popular weight loss product. Listen to the full interview for some fat loss tips. Another thing I wanted to review in this honest 31dayfatlosscure.com review was their “exercise database” – which in my opinion is one of the most important things for a workout program. Most people purchasing this will probably be somewhat new to working out, and won’t have an idea of what any of the exercise names mean. Vic Magary has personally done a video posted right on the site demonstrating every single exercise in the program. Not sure what a Burpee is? Watch the video and instantly find out. Honestly a great job by the 31 Day Fat Loss Cure team on that! Cool fact – there are a couple of “unannounced” bonuses when you purchase the program that I can’t talk about in this review (not sure if the 31 day fat loss team would want me revealing them), but they add value to purchasing the product at a very fair price! I hope you enjoyed my honest and detailed 31 Day Fat Loss Cure review, and if you were satisfied with my review please click here to purchase the 31 Day Fat Loss Cure program – enjoy it!